Born in Vienna in 1956, Thomas Riebl studied with S.Führlinger, Peter Schidlof and Sandor Végh. He was prize winner at the International ARD competition in Munich (1976) and in 1982 won first prize at the International Naumburg Competition in New York where he also received the Ernst-Wallfisch-Memorial-Award. He has appeared at venues such as the Goldener Saal of the Wiener Musikverein, the Carnegie Hall and the Concertgebow Amsterdam, with leading orchestras including the Chicago and Vienna Symphony, Bavarian Radio Symphony and Finish Radio Symphony Orchestra, with conductors such as Claudio Abbado, Horst Stein, Edo de Waart, Andrew Davies and Sylvain Cambreling. He has been invited to many of the major international music festivals. His chamber music partners have included Jessey Norman, Andras Schiff, Oleg Maisenberg, Elisabeth Leonskaja, Pierre-Laurent Aimard, Gidon Kremer, Benjamin Schmid, Thomas Zehetmair, Isabelle Faust, Joshua Bell, Tabea Zimmermann, Natalia Gutman, Boris Pergamenschikow, Steven Isserlis, Sabine Meyer and the Juilliard String Quartet. From 1972 – 1979 he was a member of the Franz-Schubert-Quartett, Vienna (first prize at the competition of the European broadcast cooporations in Stockholm in 1974); subsequently he became a founder member of the Vienna String Sextet (1979 – 2004). He has recorded several CDs for EMI, RCA, Hyperion and pan classics. Since 1983, Thomas Riebl has been a professor at the University Mozarteum Salzburg and has given numerous master classes worldwide. Many of his students won international competitions and became professors at music universities or members of leading orchestras and string quartets. Following his graduation from the National Taiwan Acadamy of Arts, Chen-hung Ho went to France to further his studies at the École Normale de Musique in Paris and the Conservatoire National Supérieur de Musique de Paris with Prof. Maurice Husson, Prof. Dominique Richard and famous violist Prof. Gerard Causse. Also joined the class of preparative orchestra at Conservatoire National de Musique de Paris, studied with Prof. Jean Dupouy and Laurent Vemey. Now he is the Principle Violist of the Taipei Symphony Orchestra and Associate Professor at the National Taipei University of Arts, the National Taipei University of Education, the University of Taipei, the National Taiwan University of Arts, the Fu-Jen Catholic University, the New Taipei Municipal New Taipei Senior High School. The world-renowned violist and violinist Jing Yang is the latest in a distinguished line of musicians from Kulangsu, Xiamen’s “Islet of Music.” At the age of 17, Jing left Kulangsu for the Shanghai Conservatory of Music. After graduating, she earned master’s degrees from the Royal Academy of London and the Mozarteum in Salzburg, both on full scholarship. At just 26, Jing was named associate principal violist of the Frankfurt Radio Symphony Orchestra as the youngest of the orchestra’s 108 members. 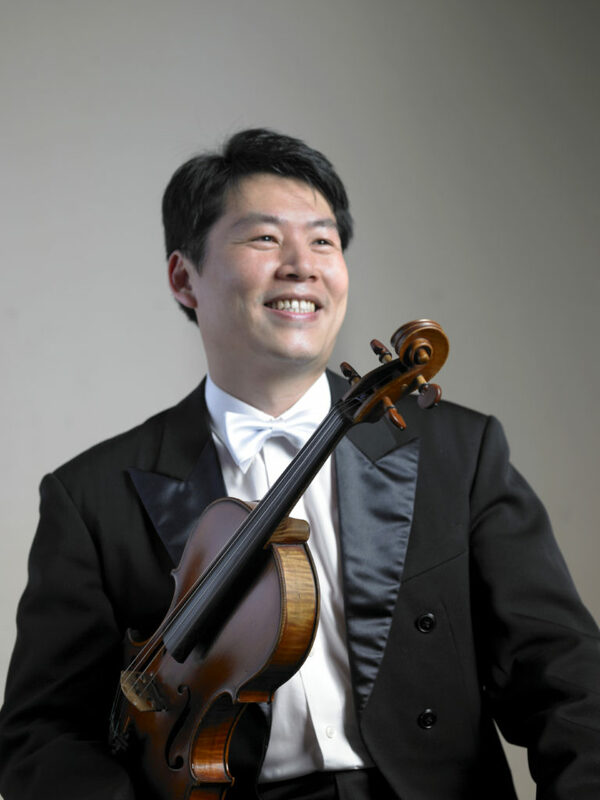 Prior to this, Jing has also served as viola principal of Camerata Salzburg, World Youth Symphony Orchestra of Italy and the London Soloists Chamber Orchestra. In summer 2016, Jing began playing with a unique custom-made five-string viola and premiered the world’s first concerto for five-string viola and orchestra, composed for Jing by the legendary Chinese composer Li Zili. This same year, she formed the band Jing & Friends, which fuses her unique sound with a blend of classical, crossover, and jazz-inflected Chinese-American pop from guitarist Henry Chen, classical pianist Jason Hou, mega-pop bassist Ryan Bradetich, and composer/vocalist Robin Goldstein. In fall and winter 2016, Jing & Friends filled the Gulangyu Concert Hall to capacity for 3 performances of their first show, entitled “Love Songs from the World to Kulangsu.” Jing & Friends plans to record its first CD in 2017. Jing has performed in more than 20 countries in four continents. She has won many awards at a variety of world violin and viola competitions, including first prize at the Althur Bliss Works Competition in England, second prize at the Bodensee International Viola Competition in Germany, second prize at the Lionel Tertis Viola Competition in Austria, and second prize at the Bled Viola International Competition in Slovenia. First performance as a soloist in the age of eight. Studies at the University Mozarteum in Salzburg started in 2005, with Cordelia Hoefer-Teutsch and since 2008 und the guidance of Peter Lang. Master-degree in Piano Performance in 2012 and second Master-degree in Chamber-music and Lied in 2016, both with highest honors. Masterclasses with world renowned musicians, such as Dimitri Bashkirov, Elisabeth Leonskaja, Jura Margulis, Jacques Rouvier and Pavel Gililov. Winner of several competitions and full scholarships at the Mozarteum. Solo and Chamber performances in China, Germany, France, Italy, Spain and Austria. 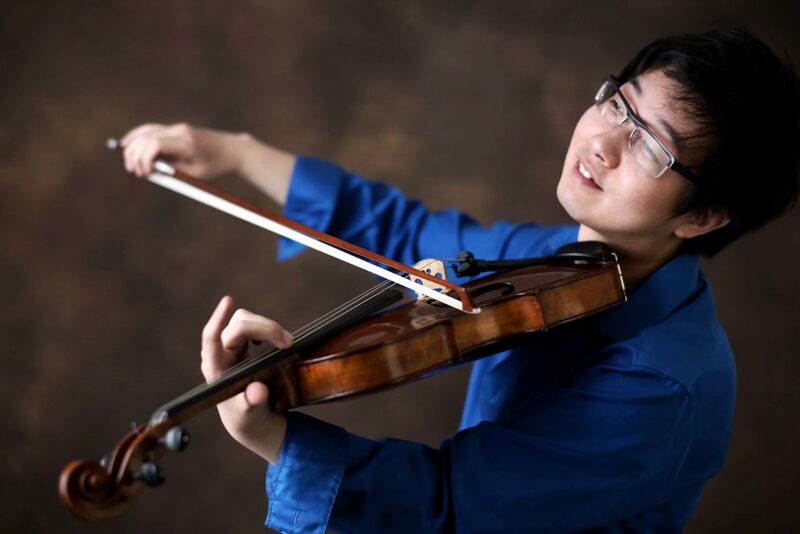 Yi-wen Chao: Noted as a player of “intensity, musical intelligence and personality,” by the late Sergiu Comissiona, violist Yi-Wen Chao is the first Taiwanese/Chinese violist ever to receive the Doctor of Musical Arts degree from the Juilliard School. Based in Taiwan, Ms. Chao performs frequently in Asia, Europe, and America. She made her Carnegie Hall’s Weill Recital Hall debut on April 9, 2006 which highlighted the New York premiere of Samuel Adler’s Canto XVI for solo viola and Philip Lasser’s Vocalise for viola and piano. Most recently, she had her solo debut at the National Center for the Performing Arts in Beijing, China. Her compelling interpretation of contemporary music resulted in an invitation for her to give the Taiwan premiere of Adler’s Viola Concerto at Taipei National Concert Hall. Ms. Chao has been a prizewinner in numerous competitions and awards both locally and abroad. 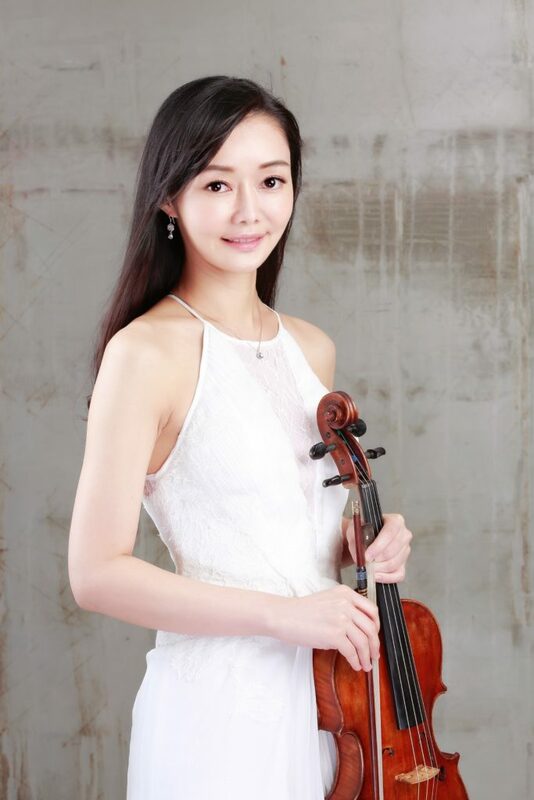 Her success in competitions include prizes at the Artists International Competition, the Juilliard Concerto Competition for Samuel Adler’s Viola Concerto , the National Viola Solo Competition at Beijing Central Conservatory, the Verbier Music Festival Viola Concerto Competition, the National Taiwan Viola Concerto Competition, and the National Taiwan Viola Solo Competition. She was named a National Young Concert Artist by the government of Taiwan, and was a recipient of the Asian Cultural Council Fellowship, a New York based foundation that supports cultural exchanges. Ms. Chao has been invited as principal violist and chamber musician by music festivals including the Tanglewood Music Center, the Leipzig International Summer Academy, the Pacific Music Festival in Japan, Ecole d’Art Américaines de Fontainebleau in France, and the Verbier Academy in Switzerland. As a soloist, she has performed with the Philadelphia Virtuosi Chamber Orchestra, the UBS Verbier Youth Orchestra, the Taipei Metropolitan Symphony Orchestra, the Taiwan Viola Society Chamber Orchestra, and the National Taiwan Symphony Orchestra. Ms. Chao has collaborated with renowned artists such as Chantal Juillet, Hori Masafumi, Stephen Hough and composer Lowell Liebermann. She also served as violist of the Taipei Philharmonic Radio String Quartet and New York’s Continuum Ensemble for contemporary music. A well sought pedagogue and educator, Ms. Chao has been invited to hold master classes and lectures in many institutions and festivals including the Shanghai Conservatory, Beijing Central Conservatory, New York University, Eastern String Summer Festival and Beijing International Music Festival and Academy. Ms. Chao earned a Bachelor of Music degree from National Taiwan Normal University and obtained her Master of Music and Doctor Of Musical Arts degrees at the prestigious Juilliard School of Music in New York, where she studied with Paul Neubauer and Samuel Rhodes. She is currently a viola professor at the Taipei National University of the Arts in Taiwan. Viola performer: Yale University, scholar of Boston University; Co-producer of “Xi’an Quartet”; Started teaching at Xi’an Conservatory of Music in 2009; Used to be Assistant Director of Art Department; Used to be judge of various viola competitions, international string music competitions, music programs, and has hosted manay international master class; has won various awards such as: champion of 2017 Salzburg international music competition, special award of 14th Italian “Auterpu”, silver award of 2009 International Young Artists Competition (YCA), individual awards for 11th American William Primrose and 9th British Lionel Tertis International competitions etc. ; the only appointed music director and viola solo performer and music recording for China Pavilion promotional video for 15th Venice International Biennale of Architecture in 2016. 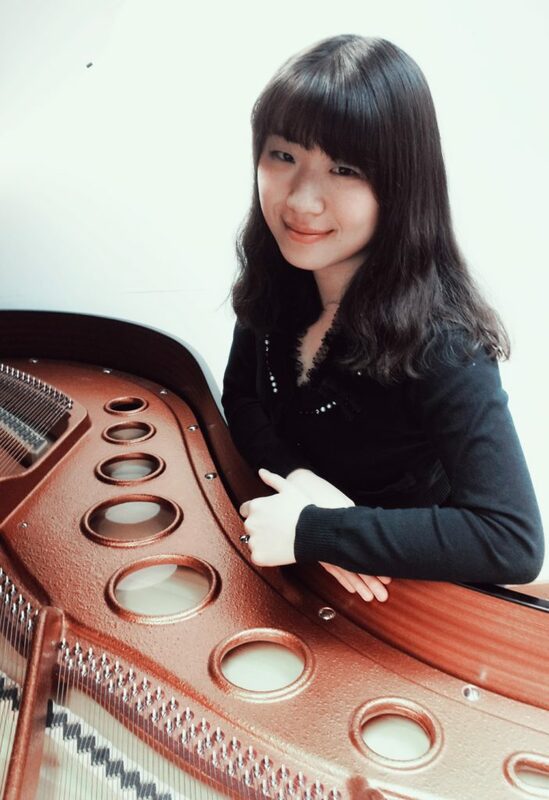 Liyuan Liu is currently on the faculty of the Zhejiang Conservatory of Music. She also holds the guest principal viola chair of Shanghai Philharmonic Orchestra. A graduate of The Juilliard School with a Bachelor and Master’s degree in performance, Liu was the winner of the NYSC International Young Artist Concerto Competition and the China Viola Competition. Now a Morse Fellowship scholar at Columbia University, she’s obtaining her doctoral degree in Higher Music Education. Liu is also on the guest faculty of the Karwendel International Music Festival in Germany, and the Easton String Festival in China. 2017, the New York Concert Review introduces Liu as “An excellent violist”. ​​Ms. Liu’s viola teachers include Wang Shaowu，Wing Ho，Heidi Castleman，Michael Tree,Steven Tenenbom and Hsin-yun Huang. As a chamber musician she has appeared with the Lincoln Center Chamber Music Society at the invitation of Ida Kavafian. The highlight of Liu’s concerts in 2017 includes the word premier performance of Tianpeng Gong’s viola concerto ” The Catcher in the Rye” with Shanghai Philharmonic orchestra on May 6th. 20:30 Ensemble Rehearsal, Concert Rehearsal, Pingpong game and so on. The quota of regular students has almost reached to its limit; however, there are still few seats available for auditors. You will be accommodated in a double bedroom . Regular students should prepare 2-3 repertoires, and you should leave us a note about your repertoires when you sign up for this program, so our piano accompaniment can prepare beforehand. If you are preparing some basic and non-accompaniment repertoires, please also note us. When you transfer your payment through Alipay, please specify your name, gender, age, contact number, repertoires for classes (auditors are not required), with/without parents accompany, parents names. Yang Tao Garden ——Fu Xing Old Castle, Zhong Hua Hong Mo. Kulangsu Island is the most popular tourist site besides the Forbidden City in China. On this island, you can not only feel the cultures integration between China and western countries, but also the special atmosphere of “music garden on the sea”. Kulangsu is not just a place that cultivate pianist, but also cultivate many young string player. One of the viola ambassador on the island, Jing Yang, was a third generation Kulangsu native citizen. She traveled to other countries to polish her skills, and now, she has come back to this beautiful island with advanced music techniques. 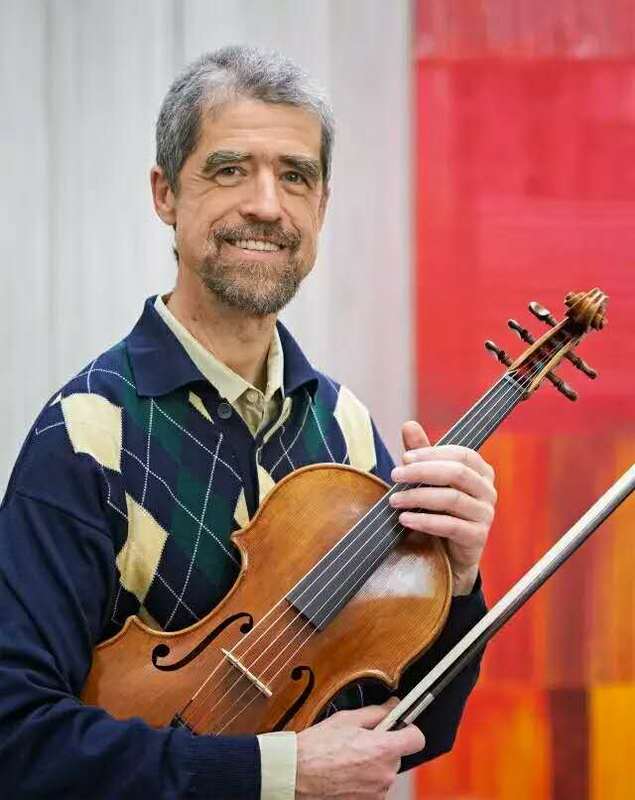 This music festival is executed by a US team, and we have a very special honor to be able to invite Jing’s Austrian Master program instructor, world famous violist, professor Thomas Riebl. He was the champion of the International Viola Competition when he was young, and now, he is also a judge for various international music competitions. He is hosting master class concerts all over the world, but this is the first time that professor Thomas is visiting China. Taking this great advantage, Jing has also invited some well-known Asian viola specialists and professors to gather in this romantic music island and to host a four-day long music program, including master class, lectures and concerts for our selected students. We wish to have a successful viola festival on Kulangsu Island. Regular students are limited to 16 people, and the auditors are limited to 20 people.